BEIJING: China considered using a drone strike in a mountainous region of Southeast Asia to kill a Myanmar drug lord wanted in the killings of 13 Chinese sailors, but decided instead to capture him alive, according to an influential state-run newspaper. The plan to use a drone, described to the Global Times newspaper by a senior public security official, highlights China’s increasing capacity in unmanned aerial warfare, a technology dominated by the United States and used widely by the Obama administration for the targeted killing of terrorists. Liu Yuejin, the director of the public security ministry’s antidrug bureau, told the newspaper that the plan called for using a drone carrying explosives to bomb the outlaw’s hide-out in the opium-growing area of Myanmar in the Golden Triangle at the intersection of Laos, Thailand and Vietnam. The experimental navigation system was started in 2000 and has since expanded to 16 navigation satellites over Asia and the Pacific Ocean, according to an article in Wednesday’s China Daily, an English-language state-run newspaper. The Chinese military, particularly the navy, is now conducting patrols and training exercises using Beidou, the newspaper said. As an example, China Daily quoted the information chief at the headquarters of the North Sea Fleet, Lei Xiwei, saying a fleet with the missile destroyer Qingdao, along with the missile frigates Yantai and Yancheng, entered the South China Sea on Feb. 1 using the Beidou navigation system to provide positioning, security and protection for the fleet. As China has been vastly improving its navigation system, it is also making fast progress with drones, and many manufacturers for the Chinese military have research centers devoted to unmanned aerial vehicles, according to a report last year by the Defense Science Board of the Pentagon. 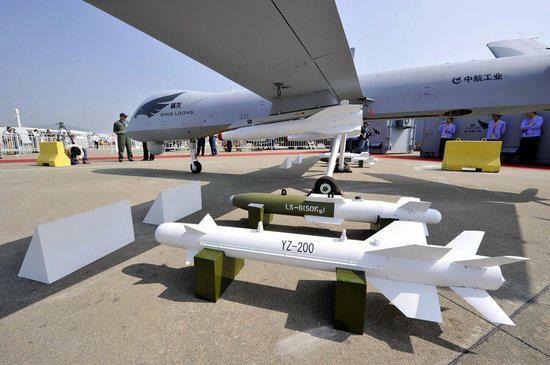 Two Chinese drones, apparently modeled on the American Reaper and Predator unmanned aerial vehicles, were unveiled at the Zhuhai air show in November. A larger drone that Western experts say is akin to the American RQ-4 Global Hawk is also known to be in the Chinese arsenal. By 2015, the State Oceanic Administration has said it plans to use drones along China’s coastline on a permanent basis and would establish monitoring bases in provinces along the coastline for drones. As for Naw Kham, the fugitive, he was captured by Lao authorities at the Mekong River port of Mong Mo after a six-month hunt in the jungles of the Golden Triangle by the combined police forces of China, Myanmar, Thailand and Laos. After his extradition to China, Naw Kham received a death sentence from a Chinese court in Yunnan Province and awaits execution, according to Chinese press reports. Posted on March 1, 2013, in Aviation, Geo-Politics. Bookmark the permalink. Leave a comment.